If Placentia council members had pressed forward with their original plans to permit medical marijuana businesses in the city, it would have been the first in Orange County to green light marijuana cultivation. But just weeks after a split 3-2 vote approving a dispensary, cultivation site, manufacturing location, testing site, transportation service and delivery – only one of each, with possible room for growth in 18 months – council members scrapped those plans entirely. Although the council had initially given its blessing, any new law in the city mandates two separate votes. On the second round, that 3-2 division became a unanimous 5-0 vote NOT to approve the pot shop plans. Undoubtedly, their decision was swayed by a swell of public opposition to the measure, as constituents voiced fierce opposition to the measure. According to the Orange County Register, Mayor Jeremy Yamaguchi said he would shelve the issue, while leaving the possibility of further research and discussion on the table. He said the process might have moved too quickly, as many residents expressed a desire for the council to take more time to study the issue and its potential impact on the community. 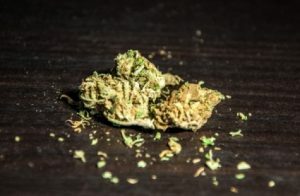 For hours after the mayor made that statement to an overflowing council chamber, scores of residents spoke in strong disfavor of the marijuana measure. Many of those who voiced opposition were parents who expressed concern about the impact such a measure would have on their children. Mothers waxed poetic about “mama bear instincts” and a strong desire to protect their children. Our Orange County marijuana lawyers certainly understand the desire to protect children from dangerous or illicit drug use. However, we do hope the council does not close the door on the issue in the face of ill-informed rhetoric – passionate though it may be. There is ample research to show that teen drug use – and teen marijuana use in particular – does not spike, even despite increased availability. The Johns Hopkins Bloomberg School of Public Health released a study in September 2015 that showed marijuana use among U.S. high school students has dropped substantially in the last 15 years, even despite the increasing number of states that have legalized the drug for both medicinal and recreational purposes. Another study published in The Lancet Psychiatry in June 2015 revealed no difference in teenage marijuana use in the states that have approved medical marijuana compared to those that have not. Here’s the bottom line: Marijuana is medicine. Yes, some people do use it for recreation and we know that early use in adolescence can lead to harmful outcomes long-term. However, there is no evidence to suggest making the drug available for medicinal use for those who are chronically or terminally ill increases that probability. There were some at Placentia’s meeting who seemed to understand this. There were a handful who testified in favor of marijuana business in Placentia, and pointed out much of the fear that was being expressed was based on myths and misunderstandings. Some pointed out that those speaking out against the proposed marijuana ordinance were demonizing good people just trying to broaden their access to medicine. The issue could be revisited with a ballot issue in November.